Wow! So much to blog about at the moment, which means I have ended up being a couple of days late with my Library Loot post this week! Lucky it is Eva hosting Mr Linky this week, and not me! Not only did I carry books out of the library that I have borrowed, I also took six books off of the sale table at the library.There were more I could have taken, but I tried to have some self control! I might have to have a look at the table again next time I go too. Then again, one of the reason that I use the library so much is to try and keep my bookshelves under control! City of God by Beverly Swerling (reloot) - Of the three books I have read by this author, I loved two of them. This is the next book in the series that started at the settlement of New York and is following a couple of families through and telling the story of New York. The Murrumbidgee Kid by Peter Yeldham - I have loved both of the books I have read by this author, and now I am hoping to read all of his backlist! At Last Comes Love with Mary Balogh - the next book in the Huxtable series. The Mascot by Mark Kurzem - A few weeks ago in my Sunday Salon post I talked about the books that I had seen other people reading on the train, and this was one of those books! Heaven and Earth by Nora Roberts - I recently read the first book in this trilogy. I am looking forward to the second too! When Twilight Burns by Colleen Gleason - This is the fourth book in the Gardella Vampire chronices. It's been ages since I read the third book, mainly because my library doesn't have the last two books. I had to get this one as an interlibrary loan, so it has a very attractive green cover on it just like the one I showed here a while ago. 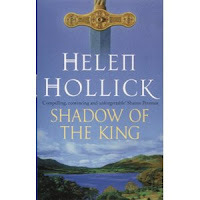 Shadow of the King by Helen Hollick (reloot) - This is the third book in the Pendragon's Banner trilogy. The Dead Travel Fast by Deanna Raybourn - I really enjoy Deanna Raybourn's Lady Julia series of Victorian mysteries, so I am prepared to go on this journey with her featuring different characters. The Penny Pincher's Club by Sarah Strohmeyer - I think I have read just about everything Sarah Strohmeyer has written, from her Bubbles Yablonsky series which was Stephanie Plum like mystery, and now her more women's fiction books. Looking forward to this one. 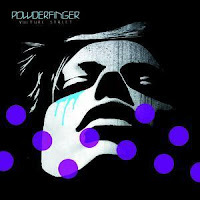 Vulture Street by Powderfinger - Yes, another Powderfinger CD. I just can't seem to listen to enough of their music at the moment. Once again I leave you with another clip from YouTube. The first part of this video is (Baby I've Got You) On My Mind, and then seques into It's a Long Way to the Top, originally performed by another Aussie band, AC/DC. It is the pre final entertainment from a couple of years ago (think a similar deal to the half time entertainment at the Superbowl! I love that trilogy by Nora Roberts and just seeing it makes me want to reread it again. Hope you enjoy these as much as I did! I need to hurry up and read The Gardella Vampire series faster. I'm a couple books behind you! Looks like you have a pile of good books there! Shadow of the King was really good. Some great looking loot you have. And books for 10c - wonderful. I'll admit I hadn't heard of Sarah Strohmeyer before, but I like the Spehanie Plum series so I might have to check her books out! I absolutely love Vulture Street, still think it's the best album Powderfinger has ever released. You've got a wonderful selection there! I am hoping to get the chance to read the first in the Hollick series soon, so I will be interested in reading your review of the third book. 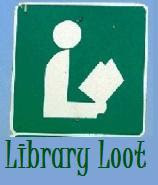 Enjoy your loot and happy reading! What a great stack of books. Enjoy! The Peter Yeldham book looks interesting--I wonder if I can find him over here? And I have Deanna Raybourn's new book, too. I've heard mixed things, but I am still looking forward to reading it.